The County Fair is only a few days away. Get excited! Stop by and see us at the Rethink Energy booth. We’ll be there to answer your energy questions about saving energy at home, solar power, weatherization and more. 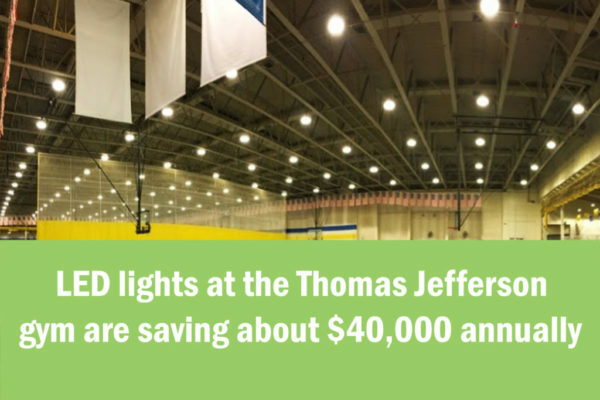 When you stop into the Thomas Jefferson gymnasium, take note; LED lights shine brightly from above. These LED lights save about $40,000 annually and have a payback of less than 4 years. Expanding composting throughout the fair. This removes food waste, paper products and other biodegradable items out of the event waste stream, reducing greenhouse gas emissions resulting from waste generated at the fair. Collecting food vendor grease that is taken to a plant for rendering. 40% of the processed grease is use to create biofuel. We look forward to seeing you at the Fair. Please stop by with your energy questions!